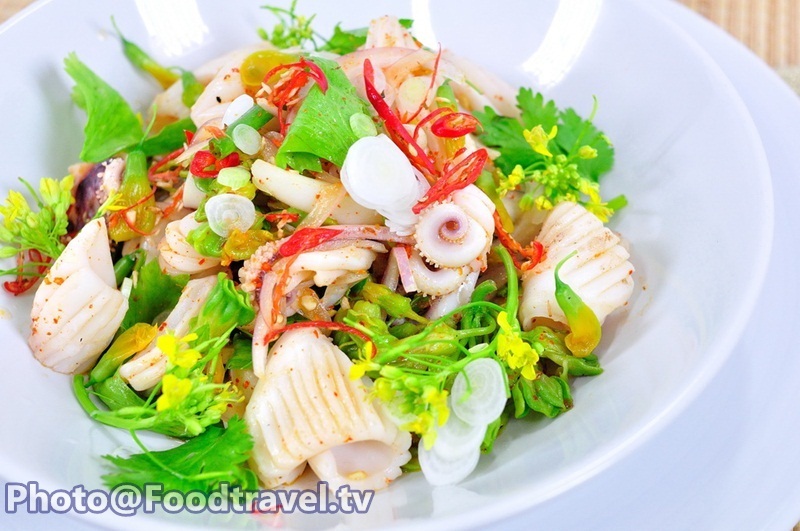 Thai Spicy Squid Salad (Yum Pla Muek) - This grilled squid recipe is different from other recipes by blanching squid in hot water. 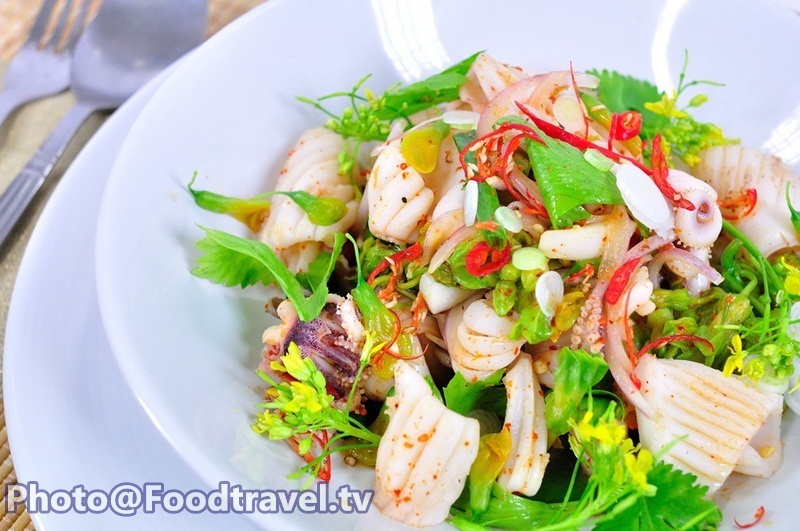 We recommend you to try this ‘Thai Spicy Squid Salad’ recipe. 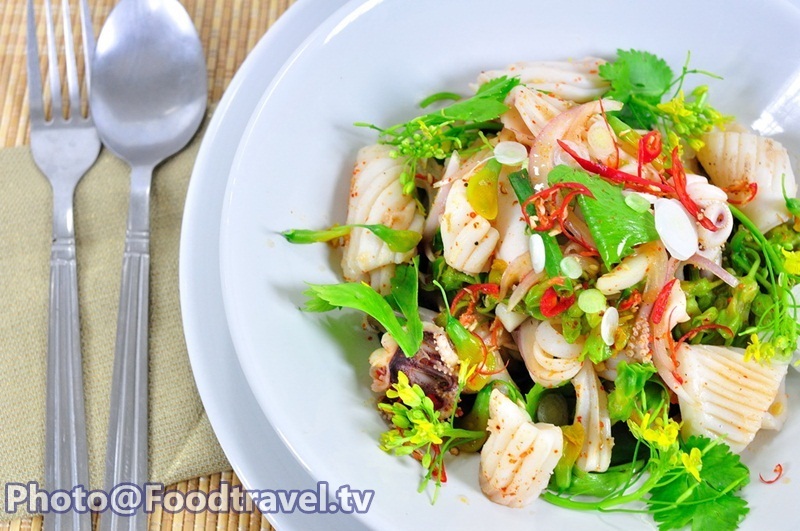 Another perfect spicy salad dish to serve for easy party! 1. 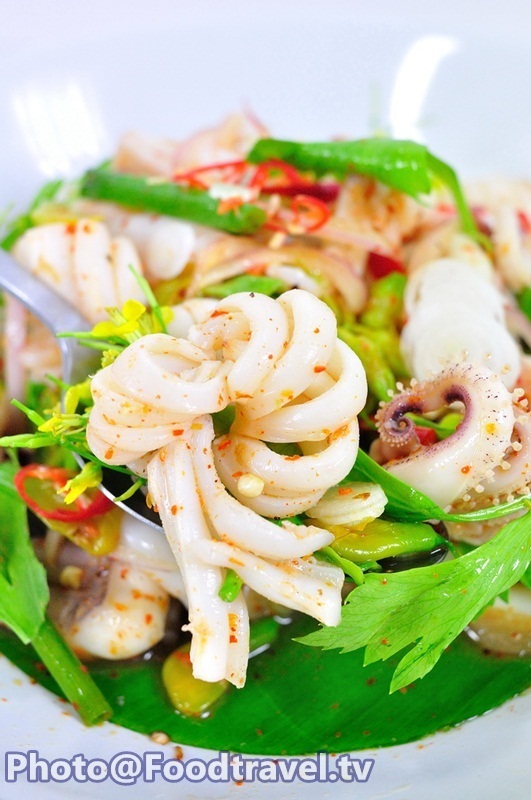 Rinse and cut squid. 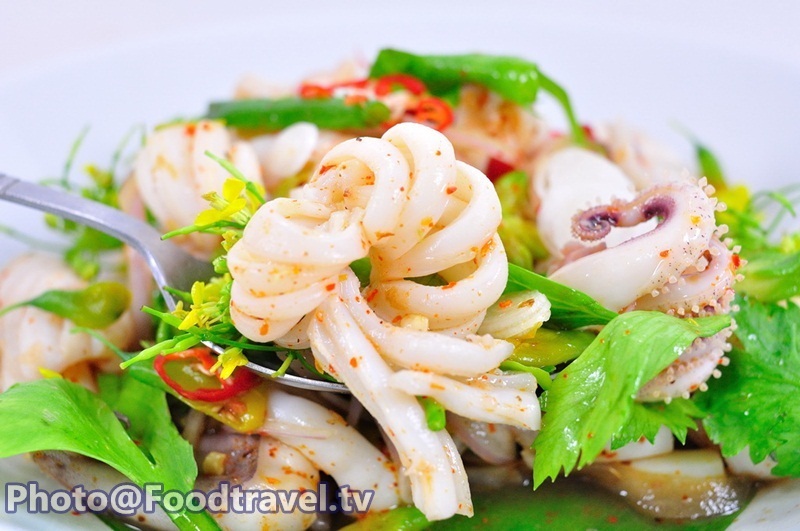 Then grill squid on a pan. 2. 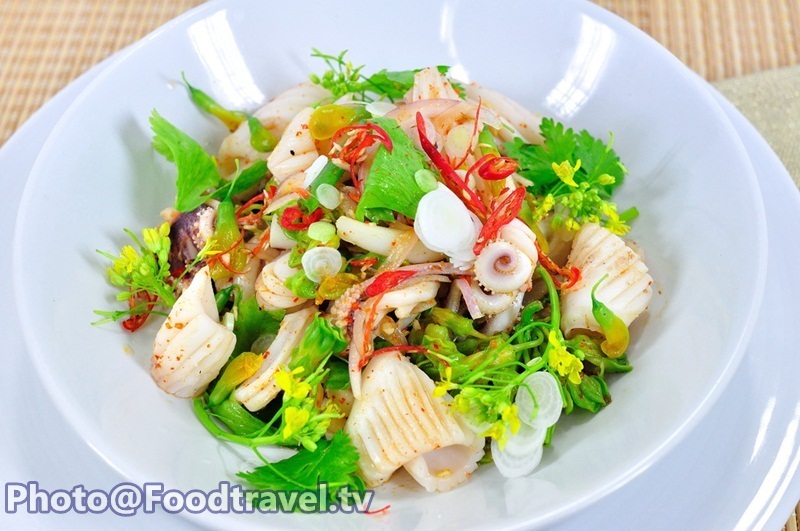 Mix spicy dressing salad by mixing fish sauce, lime, sugar in a mixing bowl. 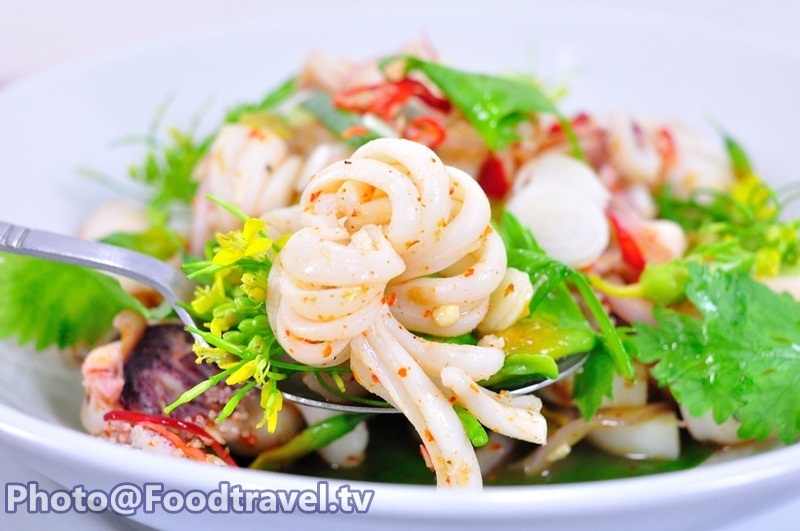 Stir until well dissolved. 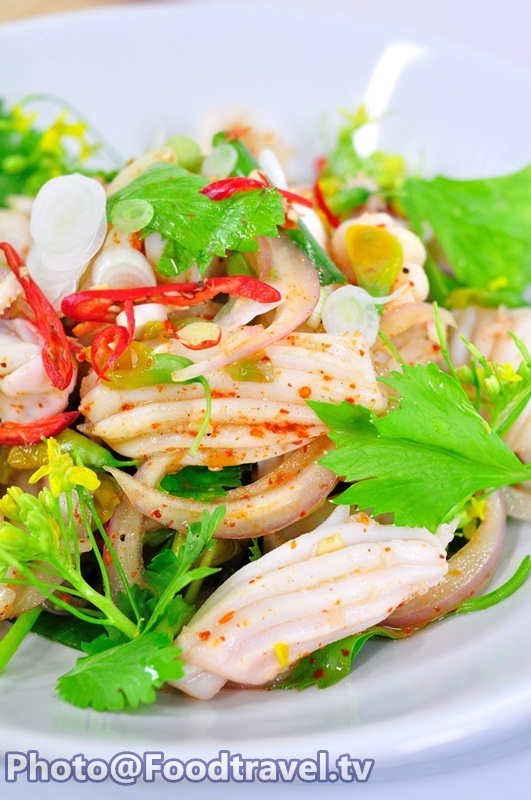 Add chili and taste. 3. 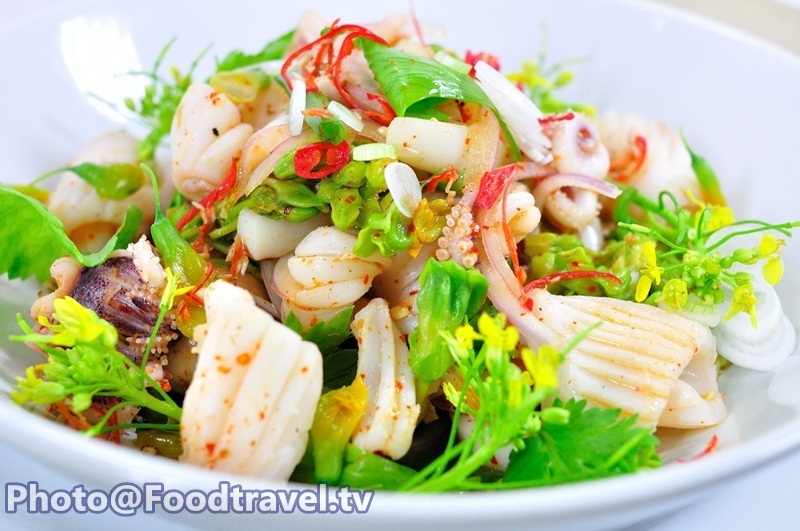 Mix squid with spicy dressing salad. 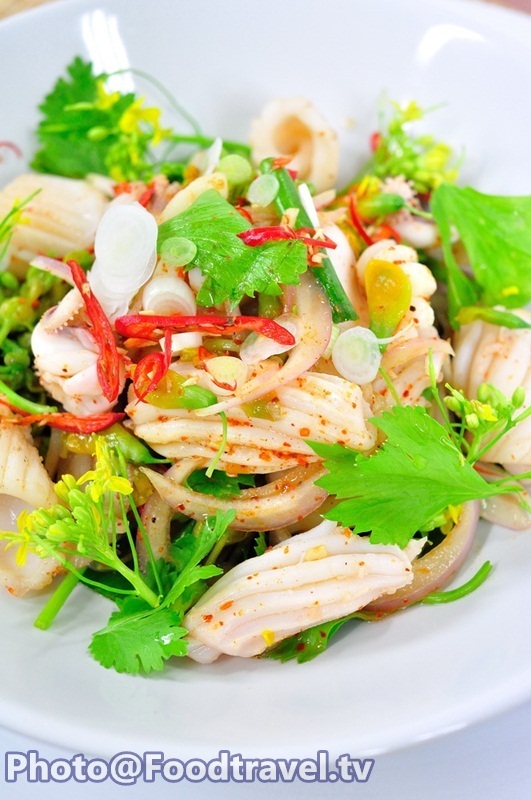 Add shallot, spring onion, celery, cowslip creeper, sesbania flower and mix together. Ready to serve.